I’m getting an error saying there’s no account linked to this email, why? You are attempting to create an account too soon after check-out. Please allow up to 2 hours for your account to become accessible. 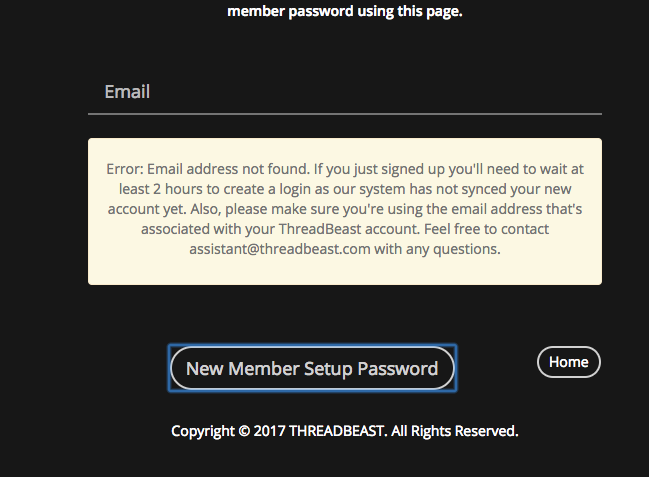 There is a different email linked to your ThreadBeast account (in some instances there may have been a typo during sign-up). To locate the correct email on the account please email us at assistant@threadbeast.com with your full name, shipping address, and phone number so we can pull up your account.